Garrett Hull, a 17-year veteran, died Friday night after being shot early Friday morning as he tried to apprehend three robbery suspects. 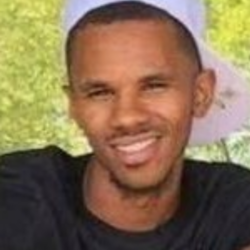 Police shot and killed Dacion Steptoe, 23, during the incident. He died in the driveway of a house in the 3500 block of May Street, about a block away from the Los Vaqueros bar he and two other suspects robbed, according to the Tarrant County medical examiner and police. Neither of the suspects who survived, 23-year-old Samuel Mayfield and 33-year-old Timothy Huff, are believed to have fired a weapon during the confrontation, police said.